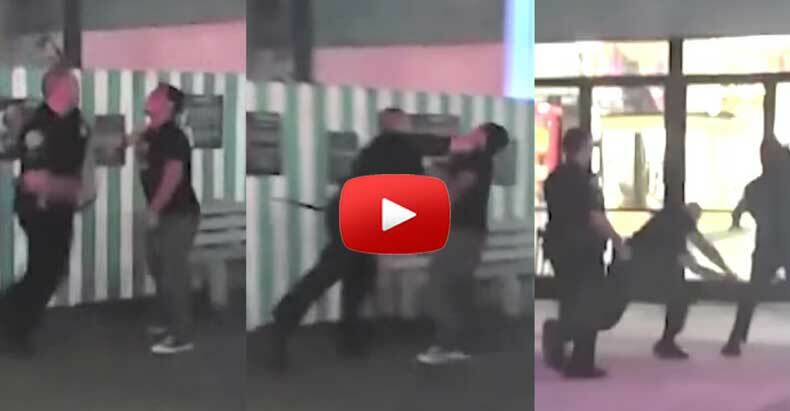 Los Angeles, CA — A visit to the LA county fair turned into a police brutality nightmare for Christian Aguilar, who was beaten and tased for doing nothing other than film police. After Pomona Police officers beat the teen, they maliciously charged him, his parents, and the uninvolved man who filmed the boy’s assault. According to the man who filmed the beating, Robert Hansen, police confiscated his camera, arrested him, and edited the video before submitting it for the investigation. Eventually, all charges against Hanson, Aguilar, and Aguilar’s parents were dropped — but not before cops lied to cover the incident up. The video below, however, does not lie. As he watched his parents get arrested, Aguilar merely attempted to film the interaction. His freedom of speech was then met with heavy police violence. According to the Geragos firm, PINAC reports, Ignacio Aguilar was a highly regarded cardiac nurse and was forced out of his job by the slanderous allegations. Christian Aguilar’s mother Eraine Aguilar has been in law enforcement since 2001 and was sickened by the conduct of Pomona PD. When Eraine Aguilar went to the Pomona police department to file a complaint, she says she was intimidated as well. The family has since filed a lawsuit against the Pomona police department. With this video, they will undoubtedly win, and the California taxpayers will be held financially responsible.